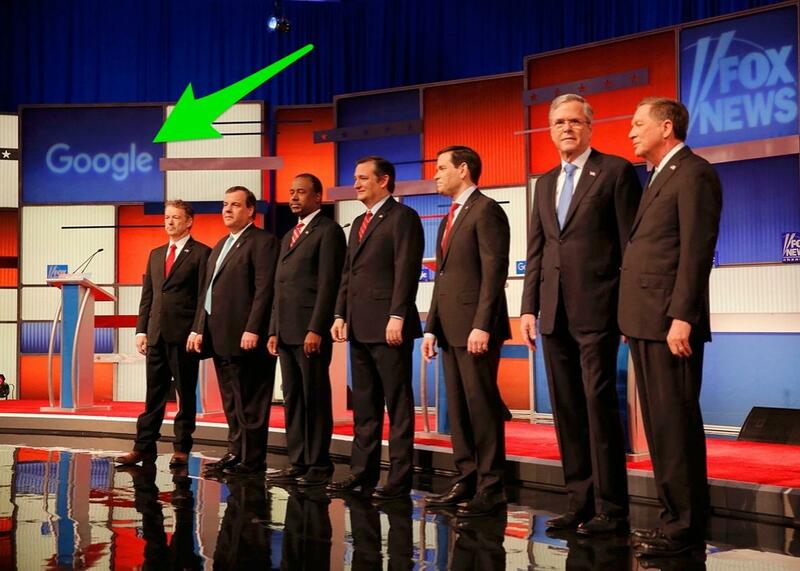 Fox GOP debates use Facebook, Google to justify already popular topics. U.S. Republican presidential candidates in Des Moines, Iowa, at the debate held by Fox News on Jan. 28, 2016. Photo illustration by Slate. Photo by Carlos Barria/Reuters. During Thursday’s Fox News debate in Iowa, the moderators noted that voters are thinking about topics like ISIS, terrorism, safety, and politics. But how do they have such stunning insight into the American psyche?! It’s all thanks to a little thing called Google. Seriously, Bret, no surprise. Later he added, “According to Google, ISIS was by far the most searched foreign policy topic over the last year.” Yes, the Internet is a place where people like to talk about the threat of terrorism. In the first GOP debate on Aug. 6, Fox was using the crystal ball of Facebook instead. Baier noted, “One of the top issues [Facebook users] are talking about is the economy.” Huh! And later Megyn Kelly added, “The folks on Facebook wanted the candidates to speak to ISIS tonight.” ISIS: not a flash in the pan issue. The tech partnerships are, of course, just a gimmick to move things along and make Fox debates feel current. But really nothing shows that you’re hip to the 21st century quite like checking Facebook to make sure Americans still care about the economy.